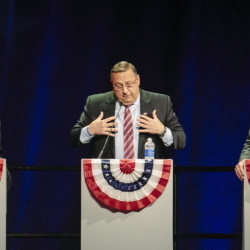 The survey indicates the governor has taken some support from Mike Michaud, as Eliot Cutler still lags far behind. 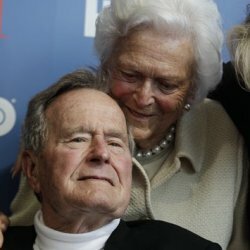 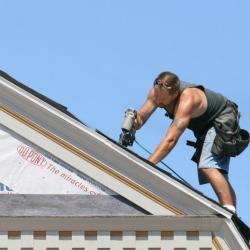 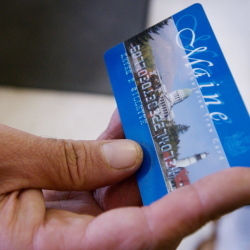 The Bushes call the Maine governor a 'get-it-done' leader. 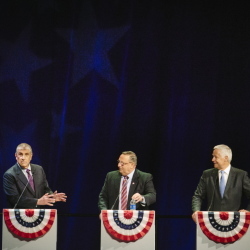 Though more subdued than Monday night's debate in Portland, the event in Auburn includes some jabs between candidates. 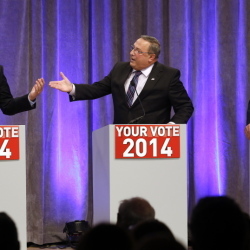 What will Mainers see tonight in the final debate of the governor’s race? 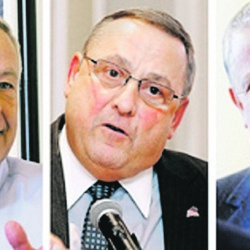 Republican Paul LePage, Democrat Mike Michaud and Independent Eliot Cutler have one final chance to try to distinguish themselves before a televised audience. 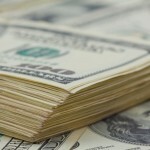 How would the candidates address assistance levels, fraud and waste, and work requirements? 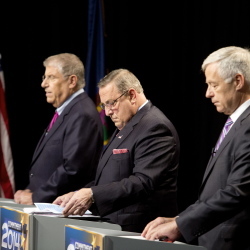 The first prime-time, statewide face-off of the campaign features testy but civil exchanges over the candidates' records and positions on issues.